Turkey, the second holy land. 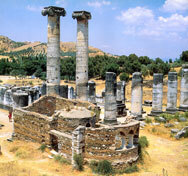 Follow the footsteps of St. Paul in Turkey and the Seven Churches of Asia Minor. A must pilgrimage for all the Christians and true believers.